Dava Developments and Parc Riviera. The project features 1, 2 and 3 bedroom Condos and Townhomes from the mid-$200,000's, and all situated on the beautiful Fraser River Waterfront. Terry Harding and Jackson Tang of NAI Commercial have recently closed the sale of Braemar Court at 600 Smith Avenue in Coquitlam. 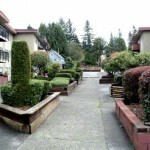 The property is improved with a 106 suite multifamily woodframe development. The lot measures a total of 2.81 Acres, and the building area is 106,350 square feet. The original asking price was $17,250,000, with a final sale price of $16,150,000, which represents a price per unit of $152,358. This apartment building is part of a $35M, 3-Property Apartment building portfolio for sale listed by NAI Commercial in Burnaby and Coquitlam. 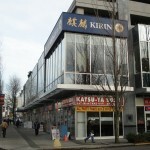 Simon Lim and Nelson Chung have recently brokered the sale of the Kirin Restaurant property at #200 - 7900 Westminster Hwy in Richmond, BC. The strata retail unit measures 11,915 square feet, and is fully leased to the single restaurant tenant. The asking price of the property was $5,680,000 and the final selling price was $5,500,000. 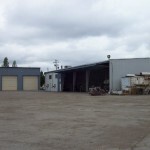 The 21.3 Acre site at 12711 & 12751 Rice Mill Road and 12100 Hartnell Road in Richmond, BC has recently been sold. The vacant industrial development site was purchased by the City of Richmond directly from the Vendors in an transaction that did not involve any brokers. The City of Richmond plans to use this site for the relocation of their City Works Yard. The selling price of the property was $21,000,000, representing a price per acre of $986,000. John H. Lee of Remax has recently sold the industrial office and warehouse buildings at 19545 Telegraph Trail in Surrey, BC. The site measures a total area of approximately 2 Acres, and has two buildings with a total area of approximately 12,360 Square Feet. Each building is leased to a single tenant. The original asking price of the property was $3,650,000, and the final sale price was $3,593,500. 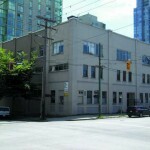 Simon Lim and Cecilia Tse have recently sold the retail strata properties at 1212 Howe Street in Downtown Vancouver. It is a two-storey, multi-tenant building featuring Fitness World on the second floor and several restaurants and retail units on the ground floor. The property features 22,349 sq ft of net leaseable area, and was built in 1988. The Assessed value in 2010 was $7,405,000 and the final selling price was $7,800,000. 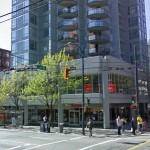 Simon Lim and David Taylor have recently sold a property in Downtown Vancouver - 1300 Richards Street. 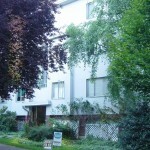 The property is located on the Southeast corner of Drake and Richards in Yaletown. It is improved with a three-storey office building, and features a net leaseable are of 13,264sf. The list price for the property was $6,150,000 and the final selling price was $6,000,000. 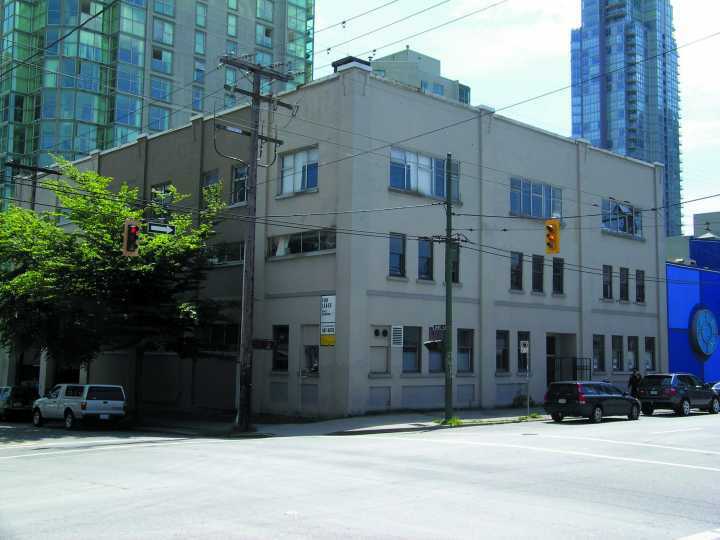 The Goodmans and Owen Yates of Colliers International have recently brokered the sale of 1131, 1143 and 1151 Haro Street in the West End of Downtown Vancouver. The three properties are improved with a 12 unit rooming house, a 3 suite rental house (which is currently vacant due to a recent fire) and a 23 suite apartment building. The property is an ideal redevelopment site with good holding income that allows for 2.75 FSR and totals 17,292sf in site area. The Gross income for 2009 was $348,000, and the asking price was $8,295,000. The final selling price was $8,000,000. 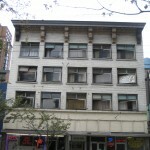 Simon Lim and Steve Fame of Colliers have recently sold the 74-Unit Rooming house located at 1123 Granville Street in downtown Vancouver. The property is imrpoved with a 74 rooms, 2 retail units and a full-sized basement. The zoning of the property is DD (Downtown District) with an FSR of 3.0, which may be increased to 5.0 for social housing. The original asking price of the property was $5,500,000 and the selling price was $4,500,000.